Email marketing has evolved as #1 marketing channel to speak with your leading prospects and existing customers. It’s not just personal; it’s pertinent and also timely. In fact, in terms of return on investment, it is also the best performing marketing channel. But, if you’re an international company with global offices, how would you get the same message reach out to the several markets, without losing the essence of what you’re trying to communicate? This is what we call as International Email marketing. And this appears to be a tough challenge which many companies have to face in order to increase and accomplish international growth. However, the marketers send the same emails to all rather than localizing their email campaigns. Have you encountered marketing emails in any language that is not understood by you? Or maybe understand the language, but the content of the emails was not just relevant to your place of residence? Well, I have. In fact, many! And what did I do with all those emails? Ha, I deleted all of them! It’s not actually the mail sender’s mistake. Many business firms just don’t comply with the best procedures for international email marketing. They don’t personalize their emails and hence lose sales revenue. How much, if you ask? A research study by the LISA (Localization Industry Standards Association) has reported that for every $1 spent on localization, the ROI is $25! With that sort of marketing ROI, executing an effective global email marketing efforts will enable you to converse better with your clients and offer a greater amount of your services and products. But not all organizations are ready to go international. And adoption rates are slow. At present, just 15% of marketing firms have prioritized international email marketing. It’s hard to believe, but it’s true, yet the majority of firms have to formalize an email marketing system for upgrading their global email campaigns. As indicated by Marketing Sherpa, 58% of small ventures don’t confine email content for global audiences. They send global messages, yet it is one-size- fit-for everyone. What’s more, it’s not just SMBs that aren’t confining email content, as 21% of huge enterprises committing a similar email marketing error! If a subscriber gets an email in languages that they don’t comprehend, the chances are they won’t tap on the email. Also, when we consider the greatest hindrance to email marketing achievement, it’s low-click through rates that lead the way. As per a review of 300 B2B advertisers’ by Ascend2, 53% say it’s an issue. 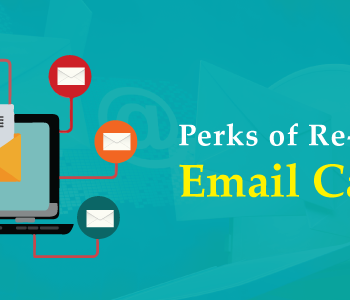 Confining email campaigns not just enhances email open rates and click through rates, yet in addition, displays a chance to build deals. What are the Advantages of Marketing Globally? Building a worldwide client base can help shield your business from nearby financial drops. For instance, a British organization that works in Euros will be less worried about the effect to the British Pound following the Brexit vote. You can enter another market at a sensible minimal effort by limiting your content. Begin by checking your site insights and email subscribers to see the quickest developing nation statistics. Then try localizing your content and email campaigns inclined in this direction. In this complete guide, we will go over the 8 most essential components to execute an effective global email promoting methodology. Utilize local speakers. Local speakers have novel learning. There’s a great distinction between native speakers over people who have read the language from a textbook. Likewise, local speakers know the subtle contrasts as to where vernaculars are utilized and this keeps your interpreted message showing up somewhat “off” language. While confining content, it’s imperative to work with local speakers from every nation you’re focusing on (or possibly have broad involvement in living there). It’s insufficient if their nation just uses a similar dialect. This is on account that you need to represent the differences in local languages, spelling and email layouts. The interpretation of email content isn’t sufficient for a restricted email campaign. One of the most vital contemplations for any email campaigns is the culture, as the cultural influences engagement and buying choices. 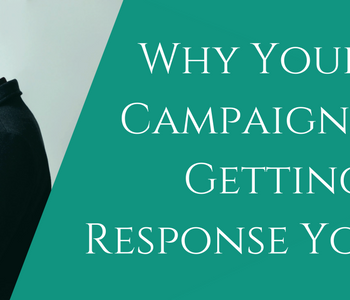 For every nation you speak with, your email campaign ought to appear as something else. Keeping in mind the end goal to abstain from irritating beneficiaries with a social fake pax, utilize Professor Geert Hofstede’s six dimensions of national culture. Utilize “we” rather than “I” in your language if you are focusing on Russia, India or Japan as these nations incline toward bunches over people. You can utilize “I” while focusing on the US or France. Be reliable in your language and utilize clear dialects when you send email campaigns to Germany or Belgium. Include wit and fun in emails if you are focusing on Swedes or Australians as both of these nations are more casual and fun loving. Confining your email campaigns additionally implies that you ought to restrict the pictures for each objective market. While this may sound dull, utilizing the wrong picture can truly harm your image! For instance, utilizing a stock photograph of a city could appear to be innocuous in case you’re conveying a welcome for a neighborhood occasion. Yet, imagine a scenario where the occasion you are holding is situated in Oslo, yet the stock photograph is of Paris. People process pictures 60,000 times speedier than words. Picking the correct picture in your email campaigns signifies your campaigns’ achievement! The number of mobile phones and its users is developing at a fast pace. As indicated by Statista, more than 2 billion individuals overall claim a cell phone. That is over 25% of the worldwide populace. What’s more, by 2019, the quantity of cell phone clients is relied upon to achieve more than 5 billion! However, not all nations are receiving cell phones at a similar rate. For instance, an overview by the Pew Spring 2015 Global Attitudes reported that South Korea, Germany, Australia, and the UK all are listed in the best 10 for the most mobile portable countries in 2015. To decide if responsive email formats are required for your business, you should take a gander at your own information. In any case, the nearby time zone should be considered. Whilst the time zones between UK and Norway won’t be so different, but the contrast between the UK and the West bank of the US is around a whole working day (8 hours!). Another factor to consider is the number of working days. In the Middle East, a typical working week is from Sunday to Thursday while in Europe, people work Monday to Friday. Every nation additionally has distinctive national occasions or vacation times. Most Norwegians take 3 weeks’ off in July, in Germany, the late spring vacations begin later, in August. If you send emails around these times, it’s obvious that the open rates will be awfully low. 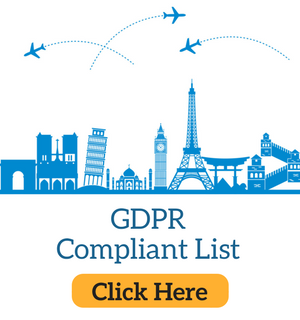 The main issue from any international email marketing perspective is to be in compliance with the email regulations of different countries. Your email marketing strategies have to be confined within the CAN SPAM laws. Moreover, there shouldn’t be much spam messages from your side too. By following these principles you can run a successful international venture. In case we have missed any important points, drop down your comments in the comment section.